Khoda Ganesh Ji Temple is Gajanan ji Temple located nearly 15 Km from Kishangarh in Ajmer District of Rajasthan Khoda Ganesh Ji Mandir is build by Kishangarh Royal family nearly 250 years ago. 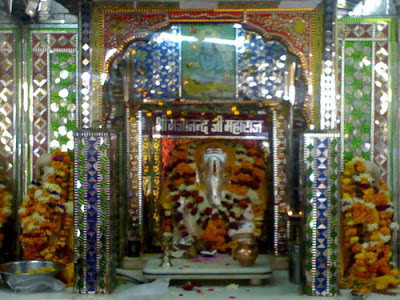 Khoda Ganesh Ji Mandir is considered Holy place in Ajmer region and most newly wedded couple pray there for health and wealth. People use to come here every Wednesday or Sunday to do prayer to lord Ganesha, while mostly people visits Khoda Ganesh Ji temple on Wednesday.